A Hot and Perfect Day - Discover Rio & Learn Portuguese with RioLIVE! Beautiful view with beautiful people. Der Ausflug mit RioLive war fabelhaft! Wir sind nach dem Unterricht mit dem Bus durch eine Favela gefahren und sind auf den Berg Dois Irmãos gewandert. Nach einer knappen Stunde hatten wir eine tolle Aussicht ueber die ganze Stadt! We had a hot and perfect day in Rio de Janeiro! Even better if you spend this day in one of the most beautiful views in the city, Morro Dois Irmãos. Our Portuguese students had the chance to hike the mountain up and have a great time together, knowing each other and speaking Portuguese. 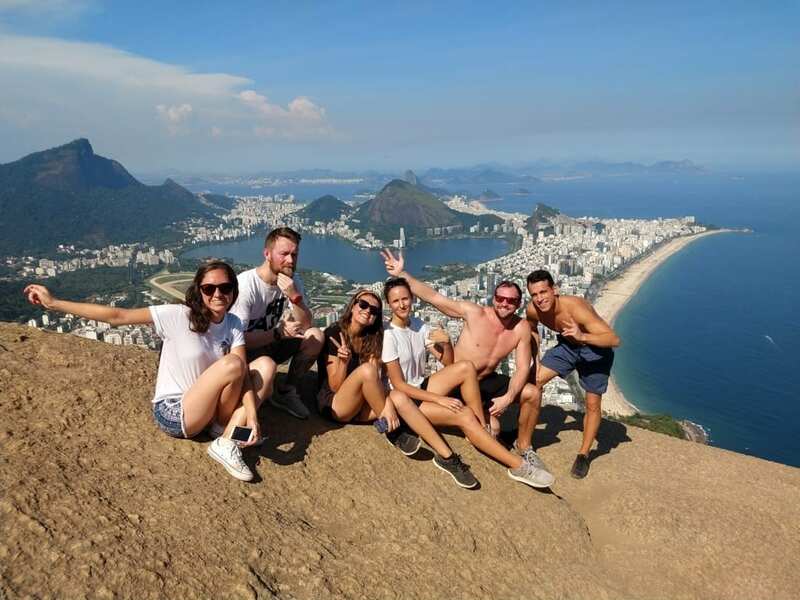 As we had a hot and perfect day, it’s summer here in Rio de Janeiro, some of them felt really tired during the way, but as we were a great team, we shared our water, food and could finish the hike. At the top, they experienced a great view, took pictures and spoke Portuguese with each other. The best way to spend a hot and perfect day.